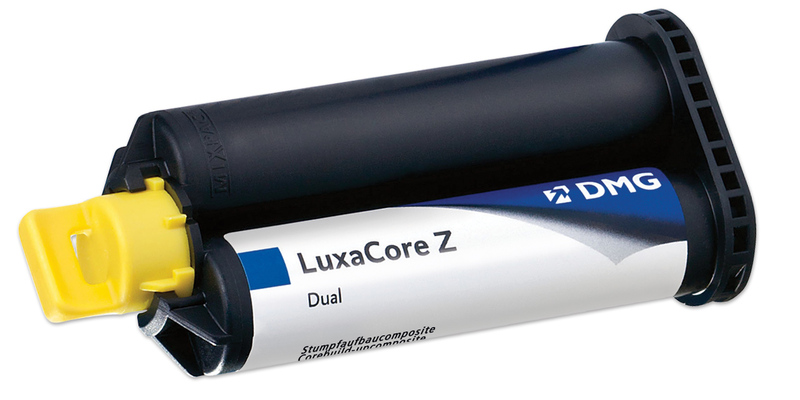 Core build-up combining zirconia filler with patented nanotechnology to provide improved strength and flowability. Ideal for endodontic post cementation. Cuts like dentin. Radiopaque. Automix cartridge uses DS24 gun marked 1:1/2:1. Contains: 1 x 48g cartridge, 30 automix tips, 30 intraoral tips. Contains: 35 mixing tips, 35 yellow intraoral tips. Mixing tips have yellow hub, clear barrel, and white mixer. Gun is marked DS24, 1:1/2:1.